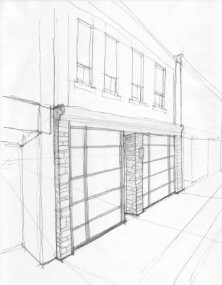 An early sketch of the design of the front elevation features large storefront windows and a stucco molding band which transitions between the new storefront windows and the existing brick facade above. 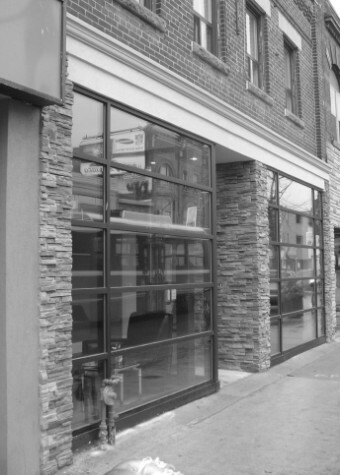 Located in a trendy area of downtown toronto, this project included the total renovation of an older 2 story retail and residential building into a new office for a vibrant accounting and law firm. The new interior design approach aimed at taking advantage of the building's existing features where possible: Skylights, exposed brick, wood beams, etc, while using light colours and large windows to maximize natural light. The structure of the building had to be upgraded to remedy a sagging floor and to support the removal of existing load bearing walls. New timber beams and posts were designed to complement and enhance the existing appearance. 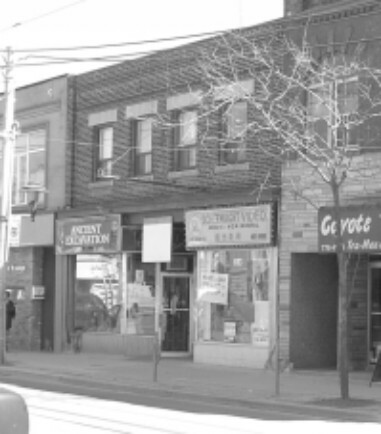 The building prior to the renovations. 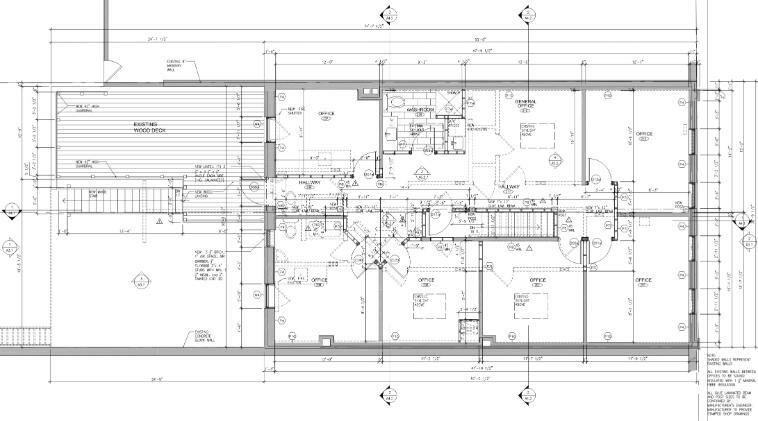 A reduced vew of the CAD drawing of the ground floor plan which includes a large conference room, an administration and reception area, 3 offices, a smaller meeting room and a 2 piece washroom. 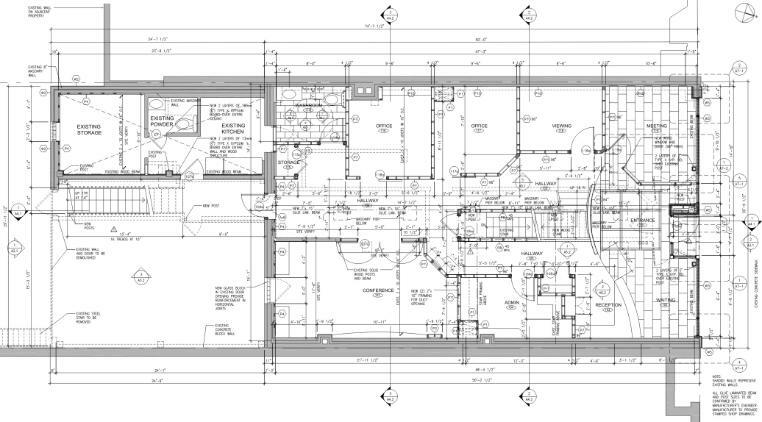 A reduced vew of the CAD drawing of the second floor plan. This layout includes 6 private offices, an open office area and a 3 piece washroom.